There are tons of free things you can get in NYC. You can get free access to museums, free art gallery admission, free movie streaming, free art shows, and much more. While there are free events happening all the time, here’s a list of some of the more comprehensive and useful free resources to enjoy in New York City. 1.2 How do you get it? 2.1 What do you get? 2.2 How do you get it? 3.1 What do you get? 3.2 How do you get it? 4.1 What do you get? 4.2 How do you get it? 5.1 What do you get? 5.2 How do you get it? 6.1 What do you get? 6.2 How do you get it? New York City provides FREE condoms through the Condom Availability Program (NYC CAP). NOTE: The male condoms are rebranded and say NYC Condom on it. However, they are the same condoms from the same manufacturers. Ansell (maker of Lifestyles condoms) makes and brands these as NYC Condom but they’re actually Lifestyles. You can call 311 and ask for the nearest location. I usually go to the LGBT Center at 14th St on the west side of Manhattan. They have great hours and large supplies of free condoms available. If you want to be a distributor, you can get free condoms mailed to you by New York City directly. New York City water is almost lead-free when from the City’s upstate reservoir system, but it can absorb lead from solder, fixtures, and pipes on the way to your home. Lead is a major health risk. Within our bodies, lead is absorbed and stored in our bones, blood, and tissues. It does not stay there permanently, rather it is stored there as a source of continual internal exposure. Generally, lead affects children more than it does adults. Children tend to show signs of severe lead toxicity at lower levels than adults. Luckily, NYC provides free lead testing kits along with free professional lead testing in a laboratory. Lead is a health hazard, and can’t be detected by taste or sight. So NYC provides free lead testing kits and laboratory testing. You can request your FREE water lead testing kit here. It takes roughly 10 minutes to follow the instructions. The actual water collection takes 2 minutes. It’s free and easy, so keep your family safe by getting your water tested today. IDNYC is the new, FREE identification card for all New York City residents, which gives all of us the opportunity to show who we are—New Yorkers. IDNYC cardholders can access services and programs offered by the City as well as by businesses. IDNYC is accepted as a form of identification for accessing numerous City programs and services. 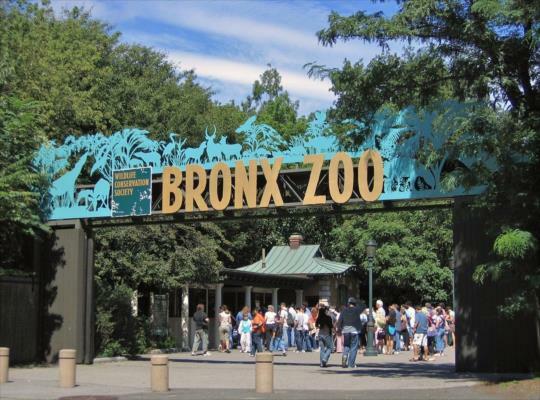 IDNYC also provides a dynamic series of benefits to cardholders, including a free one-year membership at many of the City’s leading museums, zoos, concert halls, and botanical gardens. See bottom of page for lists of museums you can get free access to. Many museums have a “pay what you want” option. They are required to have this option if they receive funding from the city under a special program. However since the museums are run independently, they don’t advertise this option because they want you paying full price. The Department of Cultural Affairs’ mission of fostering dynamic public partnerships with private cultural organizations has its most dramatic expression in its relationship with the Cultural Institutions Group (CIG). The 33 members of this group are each located on City-owned property, and receive significant capital and operating support from the City to help meet basic security, maintenance, administration and energy costs. In return for this support, these institutions operate as publicly-owned facilities whose mandate is to provide cultural services accessible to all New Yorkers. For example, at the Museum of Natural History, you can opt to pay $0.01 for admission. Of course they don’t advertise this widely, but my friend has confirmed this works. You just need the courage to stare into the staff’s eyes and tell them you’re going to pay $0.01. Stand strong, and don’t be badgered into paying more. Your taxpayer funds support them already so you deserve access for $0.01! See bottom of page for list of free/donation museums. It’s no Netflix, but free is free. This is mostly for documentaries and educational films. However it contains a fair amount of Hollywood classics and foreign cinema as well. New York Public Library (covering Manhattan, Bronx, Staten Island) and Brooklyn Library (covering Brooklyn) both provide online streaming access in partnership with Kanopy. A New York Library card gets you 10 movies per month, and a Brooklyn Library card gets you 6 movies per month. Anyone in NYC can get a library card from both systems. The NYPL and Brooklyn Library are separate systems but all New Yorkers are eligible. Get both library cards to stream 16 movies a month for free 🙂 Or double up with your girlfriend/boyfriend for 32 movies per month. You can use the same Kanopy account for both library accounts, just use the right website address to use your allotment for each account. The ferry operates 24 hours a day, 7 days a week, running every 15 to 20 minutes during peak hours and every 30 minutes at other times. It provides a great view of Statue of Liberty and can be a fun ride for dates or bringing out-of-town friends on. You get completely free round trip ferry rides between Staten Island – St George Terminal and Manhattan – South Ferry station. From Manhattan, go to Whitehall Terminal (4 South Street, New York, NY 10004) to board the free ferry. BEWARE OF SCAMMERS! You’ll likely get approached by scammers wanting to sell you Statue of Liberty tours and other rides. IGNORE THEM and do not pay them anything. See here for a list of common scams in NYC. Stay safe and enjoy this free perk. See this guide to free gym to learn how to workout for free in NYC or any city.